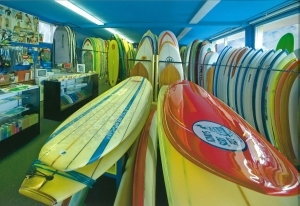 KIMO’S SURF HUT INVENTORY OF NEW, USED AND VINTAGE COLLECTIBLE SURF BOARDS IS UNLIKE ANY OTHER YOU WILL FIND ON THE ISLAND. DEDICATED TO CUSTOM CRAFTSMANSHIP, YOU’LL FIND A BOARD FOR EVERY WAVE. 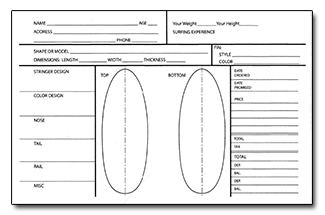 Kimo’s staff is ready to help you shop through an assortment of boards no matter what your surf skill level. We carry high quality and used surf boards as well as stand up paddle boards, fins and name brand accessories. Even if you don’t surf, we cater to those who like to collect both new and vintage boards. If you’re looking for something specific, give us a call and we can help you find exactly what you are looking for. Kimo’s Surf Hut takes great pride in helping you find every board, for every break for every surfer. Let us help you directly. If you can’t find what you’re looking for online, simply fill out our Custom Order Form. Click on the button below to share details that will help us help you.